As we were on a small catamaran riding towards one beautiful island in the state of Sao Paolo, the captain of the boat asked us an innocent question, which could have changed it all: “So, guys, what’s your next destination”. Well, that was not the reaction we expected. We looked at each other puzzled, thinking what we gonna do. I really wanted to go there, we were just a 3h drive away from one of the most known cities in the world, at the same time, it seemed like it might be also one of the most dangerous one at this time… Eventually, we decided to go anyway. What is it about Rio, what everybody loves? It’s the fact that this glorious city of Samba and Caipirinhas has it all! Beautiful white-sand beaches to relax and take in some vitamin D, the waves of Atlantic ocean to catch on your surf, the radiant natural beauty, and lush green mountains to get your heart-rate up with a beautiful view waiting for you on the top as well as a rich cultural history and world re-known landmarks. This city simply has a life and pulse you won’t find anywhere else. 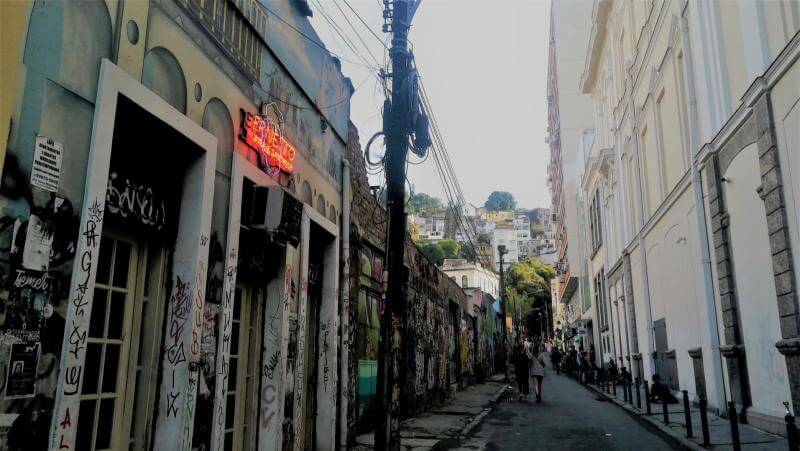 Yes, there is violence, yes, there is robbing, but if you are not stupid enough to go to discover the poverty-stricken favelas on your own, and if you act cautiously and smart, you will be just fine and enjoying all that Rio has to offer. SO, how is it really with safety in Rio? Is Rio de Janeiro safe to visit and is it worth the visit? Absolutely! Of course, I was not walking down the streets with the expensive camera hanging around my neck while wearing diamond earrings and gold watch on my wrist and limited our visit to the rich touristy neighborhoods. Don’t trust Rio’s bad reputation from movies and TV news, but be careful. Just as in any city, bad things can happen but can be also avoided with a bit of caution and careful behaviour. Just to compare, I was mugged more times in Europe in the city I lived in and knew, than in the whole time while traveling South America (knock on the wood, never happened). Read more about our 4 days visit in Rio de Janeiro.